This afternoon I'll be getting on a plane to California to attend the second Joint Decisions Empowerment Summit! 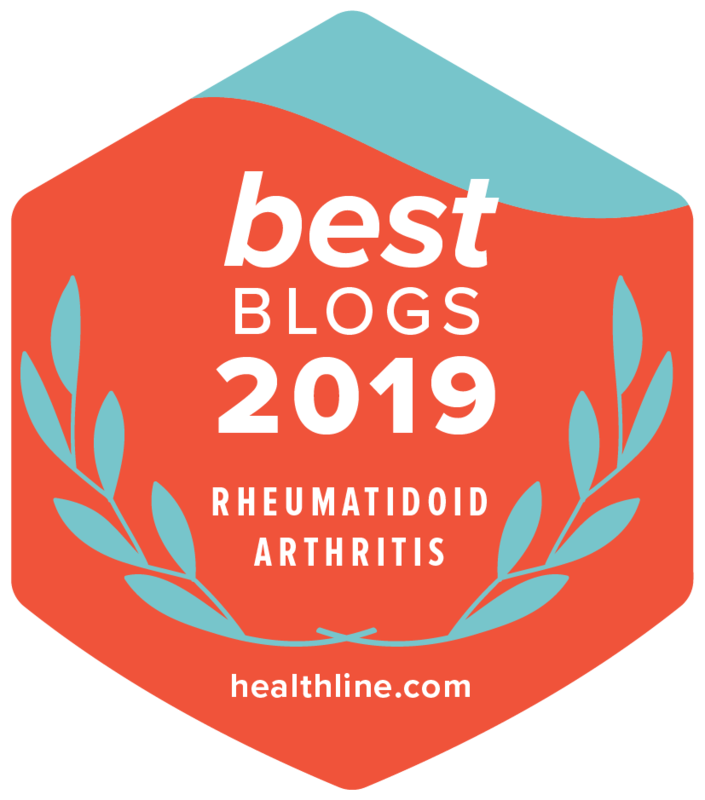 I am very excited to be spending the weekend with some of my very favorite RA bloggers - who, after I got to meet them in Boston last year, I am now lucky enough to count among my friends. This year you can join us too! 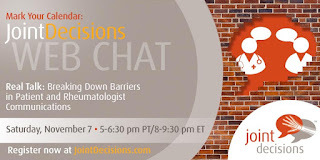 The fourth Joint Decisions Web Chat will happen at the Summit on Saturday evening. 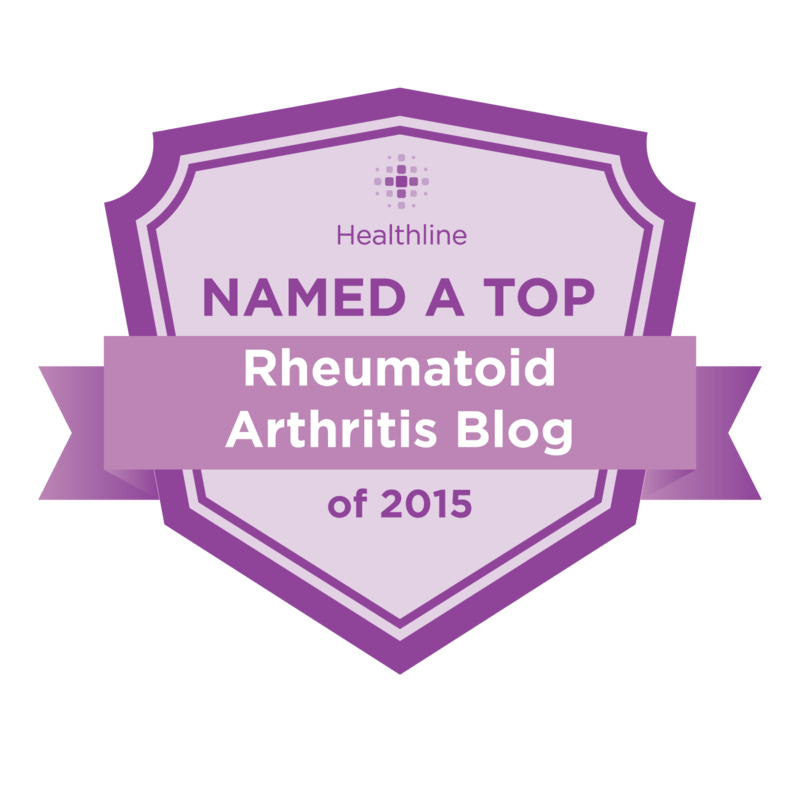 It will feature comedian Matt Iseman (who lives with RA himself) and a panel of RA bloggers (including yours truly!) 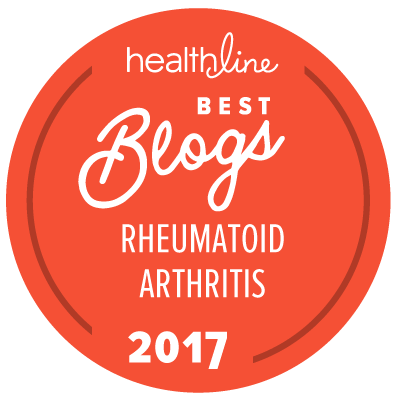 We'll be chatting about how to break down the barriers to communication between patients and their rheumatologists, and we'll answer your questions LIVE! You can register for the free chat here! 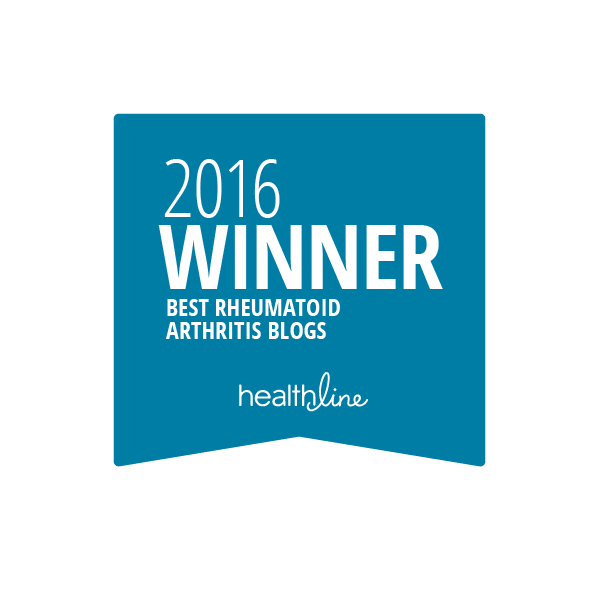 If you're interested, you can also learn more about the Joint Decisions program in this article on HealthCentral. 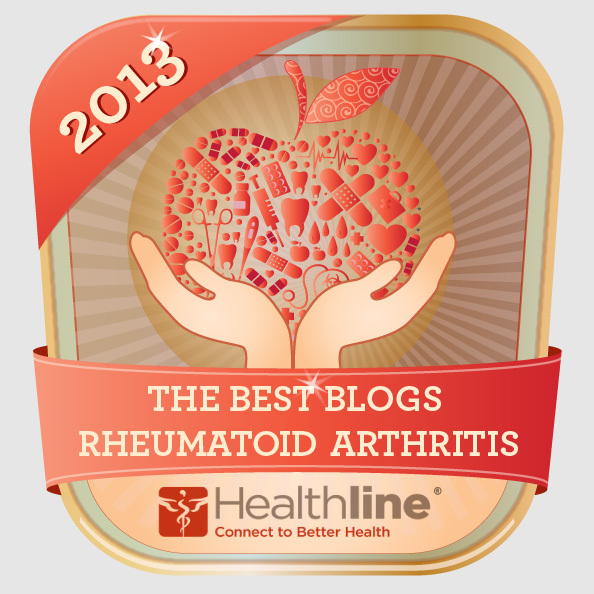 After the Summit this weekend, I'll be spending a couple of days at the American College of Rheumatology annual meeting. 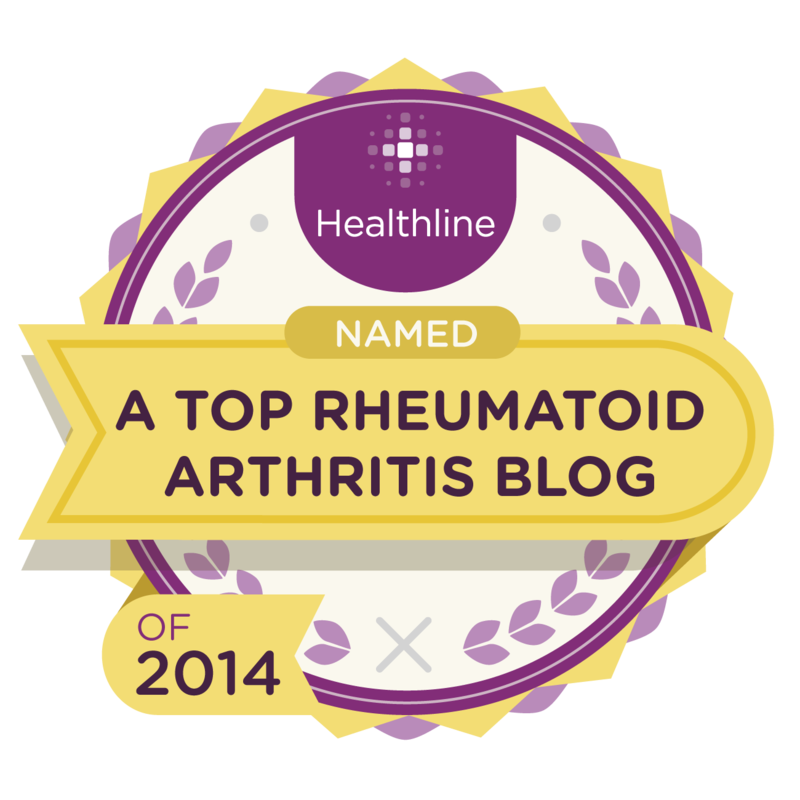 I have a press pass and I hope to attend a bunch of sessions and learn about what's going on at the cutting edge of the field of rheumatology - a field that has such an impact on my personal life and that of many of my readers! 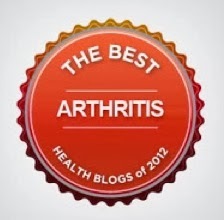 I'll be sharing what I learn at ACR here on this blog and on RheumatoidArthritis.net, so keep a lookout for that too! It's going to be a very busy and exciting week! I'm not sure how much of a chance I will get to keep this blog updated while I am on the road, but if you'd like to follow along please keep an eye on my Twitter, Facebook, and Instagram pages! *Janssen Biotech, Inc., paid for my travel expenses for the summit. All thoughts and opinions expressed here are my own.